A brand new dessert for your family by Eti. Yummy layers of rich milk and honey flavors. 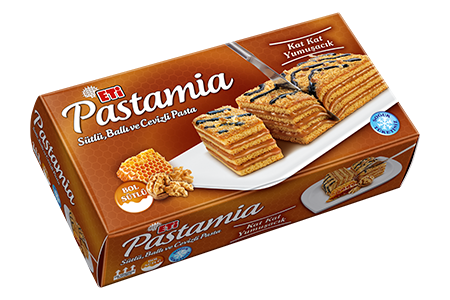 Eti Pastamia with crushed walnuts and delicious chocolate sauce coating.